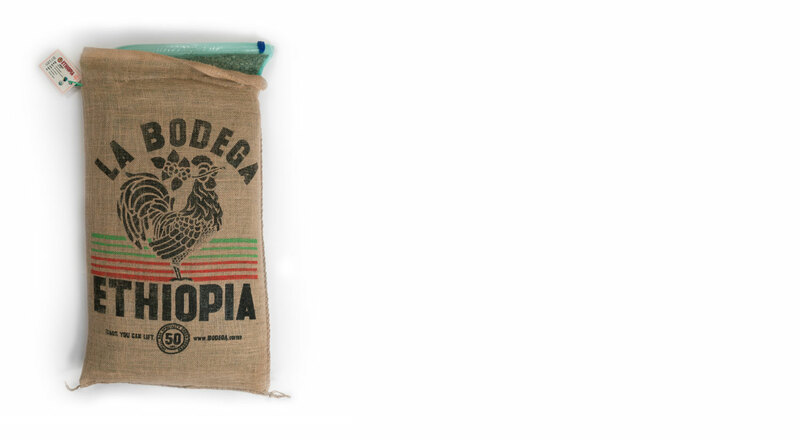 The Bodega bag is a 50-pound, GrainPro-lined Jute (burlap) bag. The contents are broken down from larger 69–70 kilo bags of specialty coffee imported directly from origin. Every Bodega bag is hand packed and hand stitched in the Cafe Imports U.S. warehouse in Minneapolis, Minnesota. The coffee inside the Bodega Bag is hermetically sealed inside a GrainPro bag. Cafe Imports did a study back in 2008, lining the inside of 4 different coffees’ traditional burlap jutes with the grain industry specific bags, and analyzing its effects on cup quality. The study found coffee flavor was better preserved in GrainPro vs. jute. Further research has found GrainPro to add 3-6 months to coffees’ shelf life, providing a moisture and vapor barrier, protecting against “ingress of water vapor, while retaining low O2 and high CO2 levels created by the respiration of the commodity” (quoted from GrainPro literature). Since the study, the use of GrainPro has become an industry standard for specialty-coffee. The GrainPro bag is equipped with pinch-lock sealing for secure opening and closing. 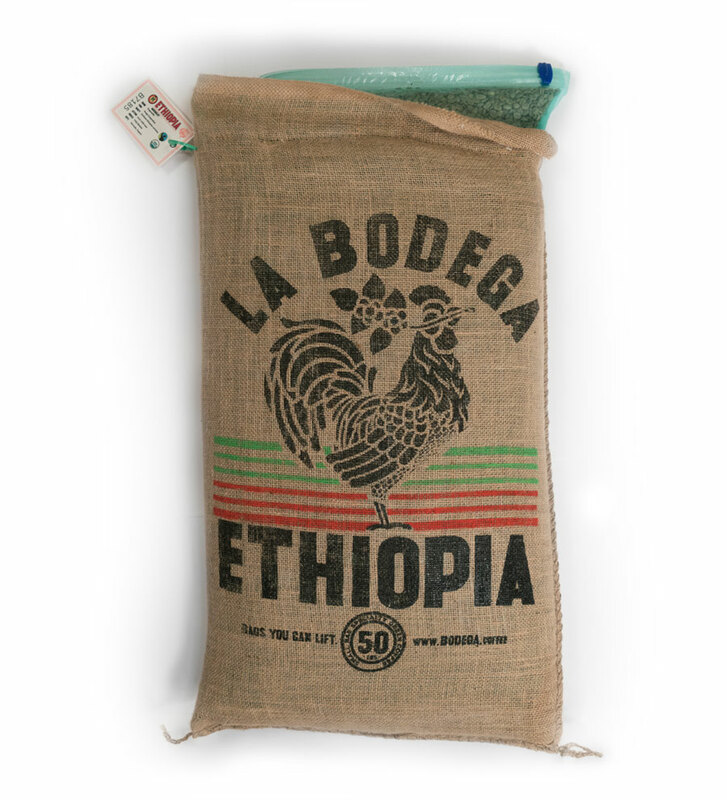 The Jute bag exterior is identifiable by origin, and is tagged with the coffee’s traceability information on a reinforced hang tag, keeping things ship-shape while you roast.